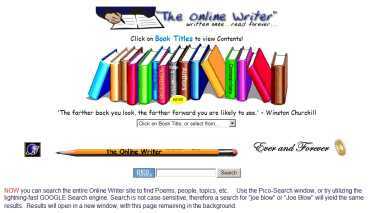 The Online Writer - share poetry and short essays. Submissions are editied for suitability (non-pornographic, etc.) and several articles submitted by one author are grouped on that Author's Page.